Hydrating toner with kombucha and vitamin C antioxidants targets areas of discoloration and brown spots to help create a more refined and even tone for improved skin luminosity. Skin is calmed, balanced and prepared for optimal moisturization. Safe, Effective, Certified, Natural Skincare without Synthetic Fragrance, Phthalates, Harsh Sulfates or Parabens. 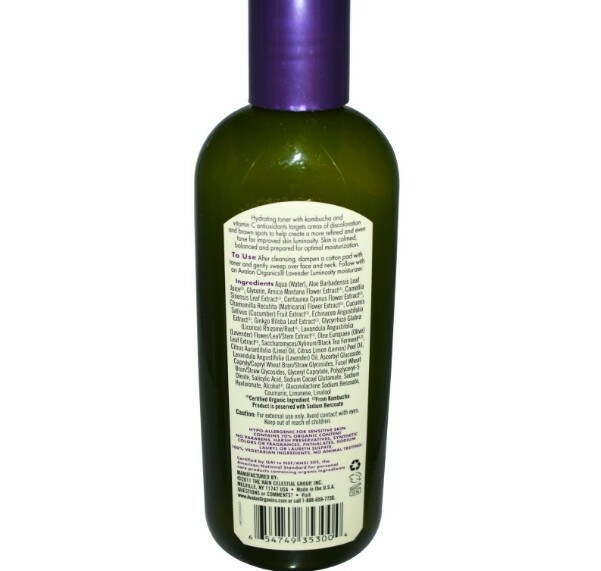 After cleansing, dampen a cotton pad with toner and gently sweep over face and neck. 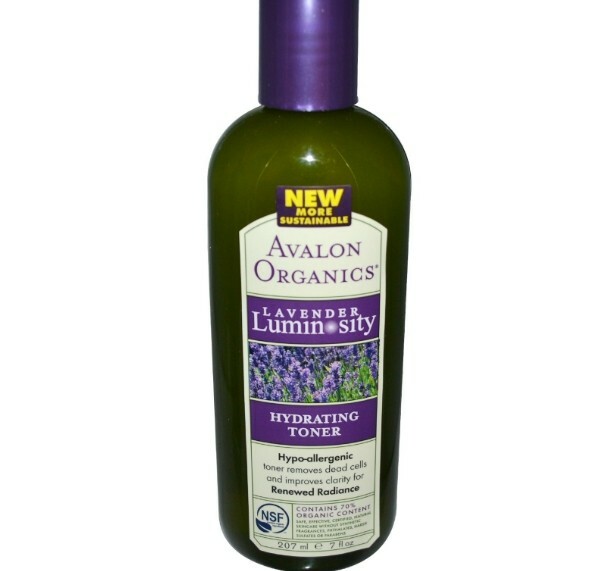 Follow with an Avalon Organic Lavender Luminosity moisturizer. 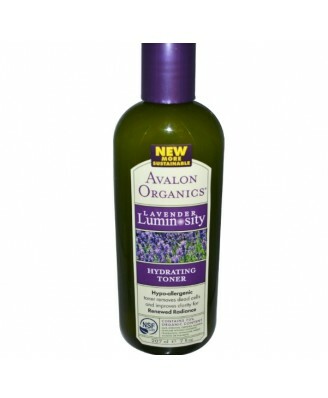 No Parabens, harsh preservatives, synthetic colors or fragrance, phthalates, sodium lauryl or laureth sulfate.